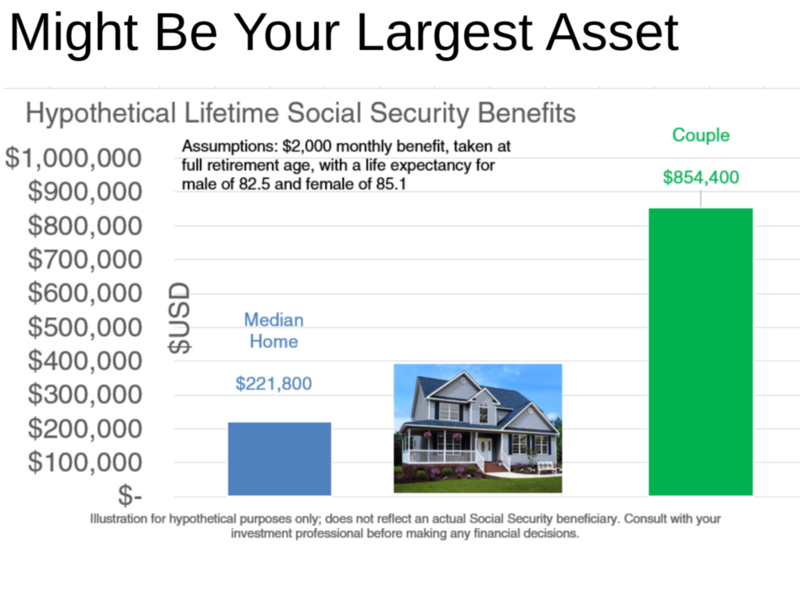 Social Security may be your most valuable asset. Unfortunately, many view it as an after-thought. Ignorance about its value abounds. My colleague, CFO, and Tax-Ninja Bill Sweet came up with this amazing stat. Homes have a median value of $221,800 and half of Americans have nothing saved for retirement. Something to think about. Many Americans have to claim early because of severe financial need while others make this critical decision due to misinformation. Hopefully, this card ignites start to a better claiming process. 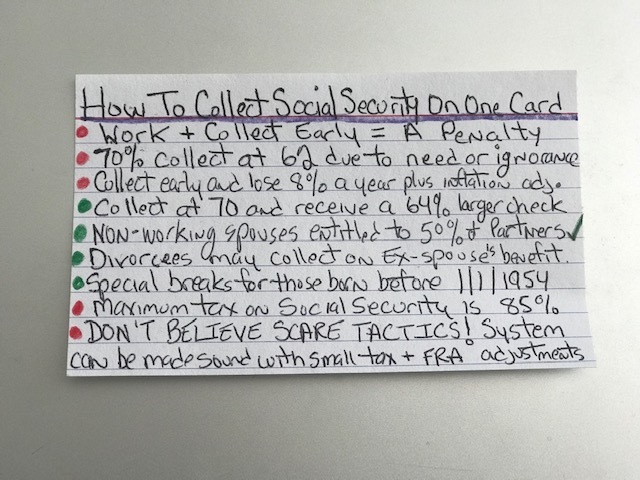 Social Security is very complicated and it’s impossible to put all decision making factors on an index card. That said, this is a better source of information than your neighbor, Fred, or partisan political hacks on cable news.